There is no bridge in Prague that is more symbolic than the sensational Charles Bridge (Karlův most). Completed in 1402 by court architect, Peter Parler, the iconic Charles Bridge is a feat of medieval engineering that was the only link connecting Old Town and the Prague Castle across the River Vltava, for over 400 years. Lined with a never-ending collection of magnificent baroque statues against the awe-inspiring backdrop of the Prague Castle and terra-cotta rooftops of Malá Strana (Czech for “Little Quarter” or “Lesser Town”, the Charles Bridge is a must-see for any visitor to the city. The Charles Bridge and Old Town Square are the two places I remembered vividly in my head from my visit to Prague over 20 years ago in 1993. Visiting them again in detail did not disappoint. My only regret was not making the walk down to Charles Bridge at night to see the city ablaze with shimmering lights. That will have to be for another visit. We began our walking tour of Prague from our hotel in Old Town and continued on to visit Charles Bridge before the afternoon rush. Along the way, we learned from my historian uncle (who was teaching as a Fulbright scholar at a neighboring Czech town for the year) that the Charles Bridge played a critical, strategic role in linking the castle to the rest of the town and until 1841 the Charles Bridge was the only link between the two halves of the city. The Charles Bridge was built to replace the earlier “Judith Bridge” that was destroyed by one of Prague’s notorious floods and was commissioned by the Holy Roman Emperor, Charles IV, in 1357. The bridge was originally named the “Stone” or “Prague” bridge but was renamed the Charles Bridge in 1870 as a tribute to the leader who transformed Prague into imperial glory and greatness. Charles IV selected German-Czech architect Peter Parler to design and build the Charles Bridge. Parler had also designed the stunning Saint Vitus Cathedral at the Prague castle, another famous landmark. At each side of the bridge stands two enormous gothic gateways – “Old Town Bridge Tower” and “Little Quarter Bridge Tower”- that instantly sweep you into medieval times. The entire length of the bridge is adorned with 30 statues erected between 1683 and 1714, mostly of Baroque architectural style and featuring various saints and patron saints who were important at the time. Charles IV commissioned the most prominent Bohemian sculptors of the time to create the works of art. As you leave Old Town meandering through the winding cobblestone streets, you know you have arrived at the Charles Bridge when you see the massive Old Town Bridge Tower standing proudly before you. Built at the end of the 14th century, the tower was an integral part of Old Towns fortifications. You can enter the tower and apparently get a magnificent view of the Prague Castle but we didn’t have time. I am sure it would have been stunning and worth the visit. The Charles Bridge is 1692 feet (516 m) long and contains 16 pillars and three bridge towers. The first important sculpture you reach is the “Madonna, St. Dominic and St. Thomas” that was created in 1708 by created by Matěj Václav Jäckel. Like most of the statues, the original is resting safely inside a museum and was replaced by a replica in the late 1950s. The next major work of art you see is the Statuary of the St. Cross with Calvary. Dating back to 1629, this statue was the only one on the entire Charles Bridge for over 200 years. It has quite an impressive history that can be read in full here (this website also contains historical information on all the statues on the bridge). Views from the bridge of the River. The views only got better and better and we thought it was a great place to grab a family shot. Here I am with my mom and sister enjoying the beauty of Prague along the Charles Bridge. We continued our leisurely walk stopping at each statue and checking the impressive view that only got better the closer we got to Lesser Town. It was only modestly crowded when I snapped this photo below. By the afternoon, it was mobbed with tourists so it’s a good idea to see the Charles Bridge early unless you want to fight the crowds in all your photos. The next notable sculpture we saw was the Statue of St. John of Nepomuk. This statue was placed on the Charles Bridge in 1683 by the Jesuits who were trying to create a Bohemian martyr. The Jesuits claim that the real Jan of Nepomuk was thrown off the bridge for political reasons and that five stars arose in the water where he drown. The Statue of St. John of Nepomuk. The Statue of St. John of Nepomuk (the five golden stars around his head symbolize the five stars seen in the water where he drown). Below is a popular tourist spot. Legend says that if you touch the brass figurine of St. John of Nepomuk whatever you wish will come true. Of course the brassy figurine was well-worn with hands. Apparently this is the place where he was thrown into the water in was in 1393. I couldn’t resist rubbing his belly and wishing for the lofty goal of world peace. Views of Lesser Town and the castle across the way. The Kafka Museum is another important site to see. Another noteworthy sight is the Statue of St. Anthony of Padua with baby Jesus. This lovely sandstone statue was created by Jan Oldřich Mayer in 1707 and is adorned by two vases on each side. The sandstone statue of St. Adalbert, the Bishop of Prague, was created in 1709 by Michal Jan Josef Brokof and stands near the end of the Charles Bridge at Lesser Town (“The Little Quarter”). I also enjoyed stopping to look at the impressive Statue of St. Cajan, Statuary of St. John of Matha, St. Felix of Valois and St. Ivan and the Statue of St. Vitus. Every single statue of the 30 that line the bridge are awash with history and significance. I only included some of the very basic information that I found in guide books and on this amazing sight, Kralovska Cesta, the provides very detailed information on each statue in case you want to learn more. As we continued to the end of the Charles Bridge, the crowds got heavier and heavier with tourists and passerby. I was relieved we had come early! Entering the Little Quarter Bridge Tower that brings you to Little Quarter and the Prague Castle. It was hard to imagine the days when the bridge was crossed by horse and carriage. Apparently in medieval times the Charles Bridge could fit four carriages across and today it is used only for pedestrians. Tourists and locals alike love to stroll along the Charles Bridge. Alas we arrived in lovely, quaint Malá Strana or Lesser Town. I could hardly wait to escape the crowds for a bit and check out this beautiful, historical part of town. We would then head up to the breathtaking Prague Castle and St. Vitus Cathedral. If only I could stop taking pictures! A spectacular view of the Charles Bridge as seen by boat cruise. Be sure to get up bright and early as the crowds begin forming in masses in the early afternoon and peak at sunset. There are walking tours that will take you across the bridge for free or a paid service. Also, beginning in 1965, all of the statues have been systematically replaced by replicas, and the originals have been exhibited in the lapidarium of the National Museum. The statues are still exquisite and stunning. However, if you want to see the real things then you need to go to the museum. This amazing sight, Kralovska Cesta, the provides very detailed information on each statue in case you want to learn more. Thank you for this beautiful walk and the stunning photography! Your family group added special warmth. Thanks Tannie! So glad you liked this walk. I am moving on now to more parts of Prague. I also was happy to have that shot of my sister, mom and me together. We never seem to get any photos of us! Thanks Sylvia! Glad you enjoyed the tour! Wow – that bridge seems like a huge outing in itself! Someone else recently posted a photo of the bridge absolutely crammed with tourists all crushed together, so you were smart to go early and maybe lucky to be there a bit before full summer tourist season (?). I found the views FROM the bridge to be very pretty – the sunset, the Lesser Town, the castle, but the statuary is a little heavy and ornate for my taste. I do very much appreciate it for its artistry, but as I get older, I seem to gravitate toward cleaner lines! Still, what a pretty day you had to see all this history. Yes I like views the best too Lexi! All of my Prague photos are mostly architecture which I love but it hard to put all in a post. Thus I checked out some books on the history and architecture of Prague to at least talk about their significance. The statues are a bit much but when you see them all in a line along the long bridge against the incredible backdrop it is amazing. I couldn’t get a photo like that since it was too crowded. I have never been on a bridge like this before with all the artwork and statues. It was pretty amazing. So dramatic and beautiful, Nicole. What a beautiful city, Nicole! Your first photo is a stunner. Have to put Prague on my list of places to visit. You would love Prague Janet. The history and architecture is absolutely stunning. I am still reading about it all now as I didn’t have time to read all the books on Prague while I was there. Wish I had as I’m learning so much! Beautifully captured 🙂 Loved Prague when I visited there last year! Thank you so much! I took so many photos that I decided to break it down into Walking Tours by section. Prague is a remarkable city with so much history and amazing architecture! Loved it. Nicole you have definitely convinced me Prague is a must visit. That first photo is astounding! Yes it is beautiful Sue! I bet if you went there you could add in some countryside or biking. I saw lots of people biking in the rapeseed fields! What a beautiful city Prague is. I think you’ve been taking photography lessons! All your photos are wonderful, but the first two especially are fabulous. This city is on our bucket list. We are heading to France and Italy this fall. Perhaps next year Prague? Your photos are stunning Nicole. That sounds wonderful LuAnn! Do you know what cities you are visiting? Two of my favorite countries and the food!! There is a long list as we will be there for two months. I will definitely be blogging about it. Wow two months LuAnn! What a delight! I can’t wait to hear all about it. I know you have spent lots of time in France. If you have any suggestions, I am all ears! Oh yes! Where exactly are you wanting to go? 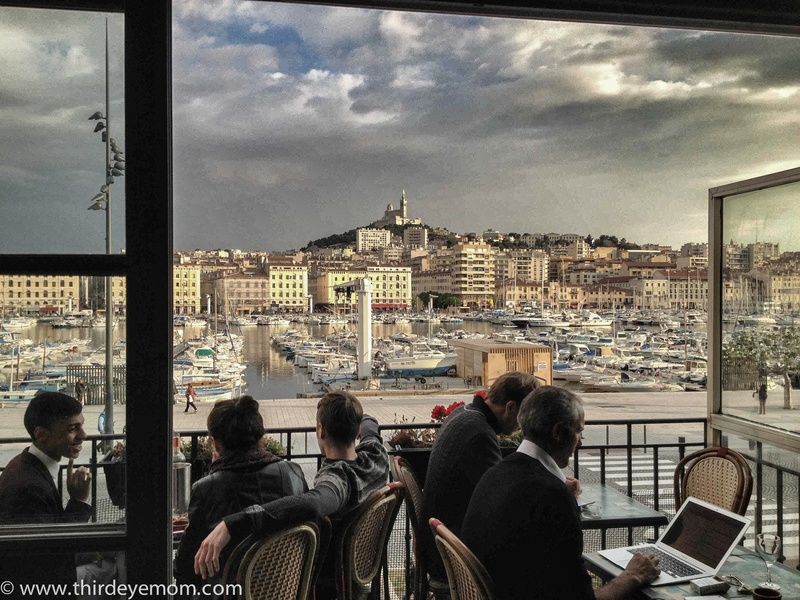 Of course you must do a few days at least in Paris but from there I would recommend either heading to the South of France where you can stay in lovely Marseille, visit Cassis and take day trips or stay in the perched villages of Luberon. I wrote some posts on them so if you search under “Travel by Country” – “France” then you will see them. DO you have time or interest in a hiking tour? My seven day Tour de Vanoise in Savoie was out of sight!!!! I wrote all about that too and the meals at night and the wine in the mountains were fabulous. Then there is Grenoble and Chamonix (Mount Blanc) are which is magnificent. So many places! As for Italy, do you follow Debra’s blog Bagni Lucca and beyond? She has an amazing blog of over five years of entries on I swear almost every town, village and city in Italy. She even rents our her amazing house in Tuscany!!! I would highly recommend contacting her or at least looking at her blog as it is the best blog on Italy I have ever seen. Oh Nicole, you are so sweet to give me so much information. I will review your blog and Debra’s as soon as I have better internet service. We have a loose itinerary so some of it can be changed. I have booked an apartment in Paris, Dolomites, Venice, Rome, and a farmhouse in Tuscany, as well as a hotel in Sorrento and Cinque Terre. With two months I know that we will not see near as much as we hope to see. Wow sounds dreamy LuAnn! Definitely check out Debra’s site as it is so filled with information on so many gorgeous towns in Italy. She is a wonderful guide! Your post made me want to go back in Prague. Such an awesome city. Great photos by the way!